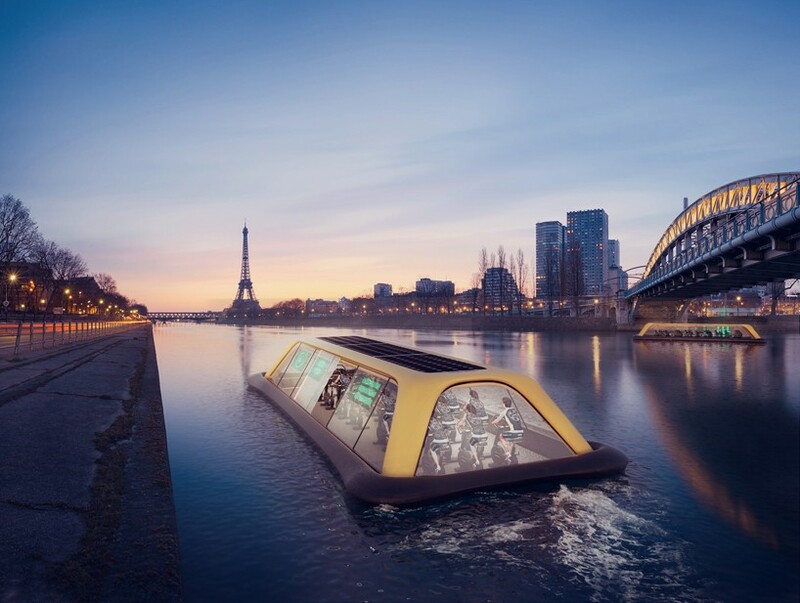 Renowned designer Carlo Ratti proposes a human powered gym boat to cruise along the Seine in Paris. The Seine is an important commercial waterway within the Paris Basin in the north of France. The design is in response to the locals’ demand concerning the urban and public infrastructure. The design is a collaboration with fitness manufacturing company, Technogym, the nonprofit organization Terreform ONE, and the urban regeneration institute, URBEM. 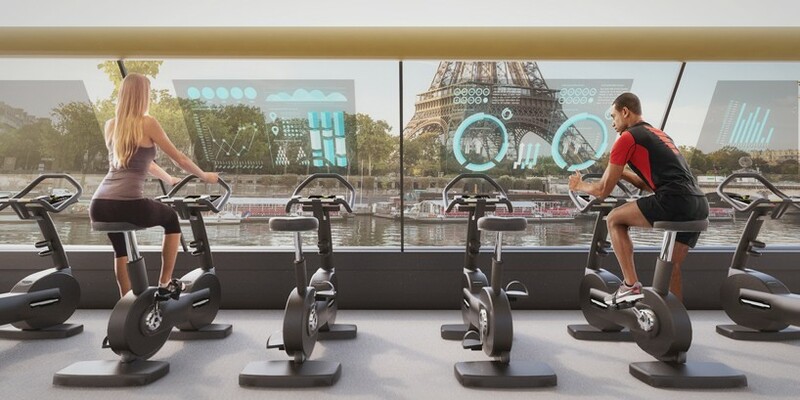 The proposed design shows a boat twenty meters long, that can easily accommodate 45 individuals and features a unique series of ARTIS fitness equipment that would be provided by Technogym. The design includes electric propellers, but the boat can also be activated for a lengthy cruise along the Parisian river, allowing complete public use throughout the year. Fitness enthusiasts can keep track of their energy data and the outdoor conditions via an augmented- reality screen that displays real time information. In addition to these features, the experience can be further enhanced with a panoramic glass front facade, capturing the capitals urban charm. 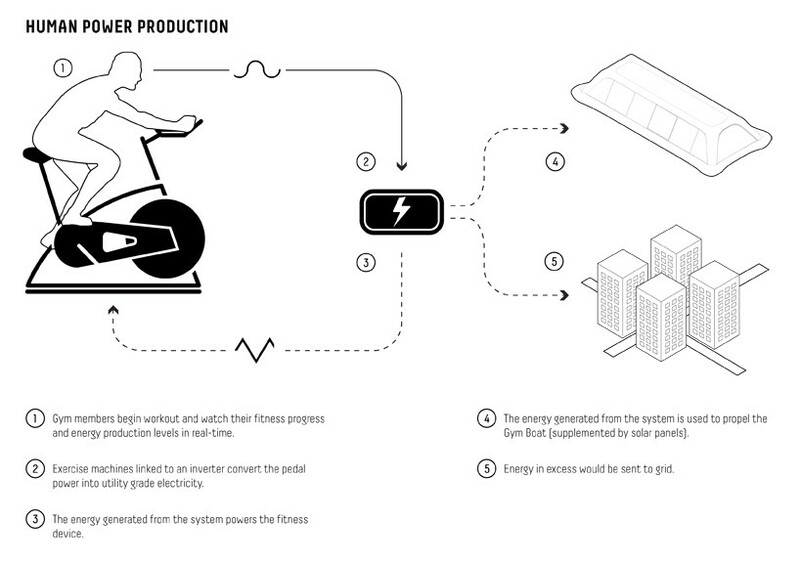 The River Gym was proposed back in 2008 initially to be placed around the rivers of New York City. This was designed by Mitchell Joachim and personal trainer Douglas Joachim. Their designs won first place in the New York Magazine’s 2005 ‘Create a Gym’ competition. It will certainly be interesting and a big push in the technology and marine industry to see the implementation of designs such as these.